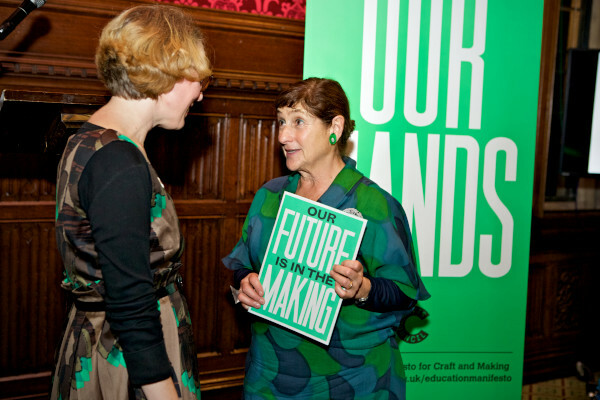 A4 screen-print handbill accompanying 200 limited edition posters, Our Future is in the Making, commissioned as part of the Crafts Council's Our Future is in the Making: An Education Manifesto for Craft and Making, launched on the 10 November 2014 at the House of Commons. 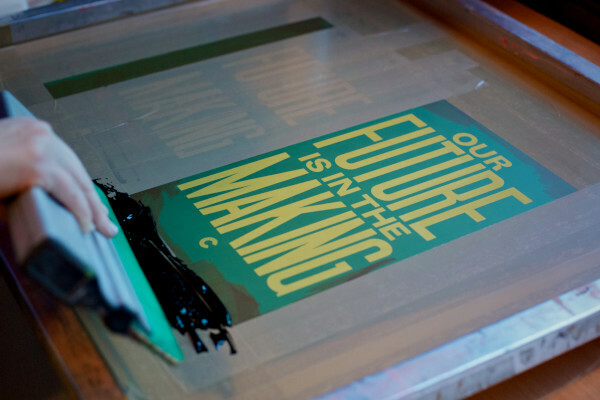 Printed by Anthony Burrill during a live screen-printing event at the launch. 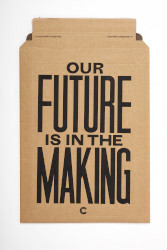 Handbill, Our Future is in the Making, Anthony Burrill, 2014. Crafts Council Collection: AM484. 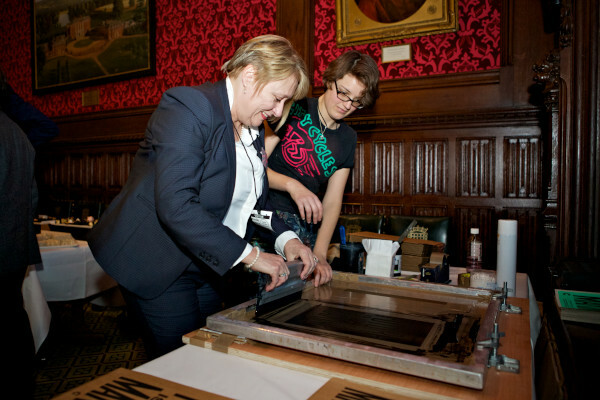 Photo: Stokes Photo Ltd.
Live screen-printing event at Education Manifesto launch at the House of Commons. Photo: Sophie Mutevelian. 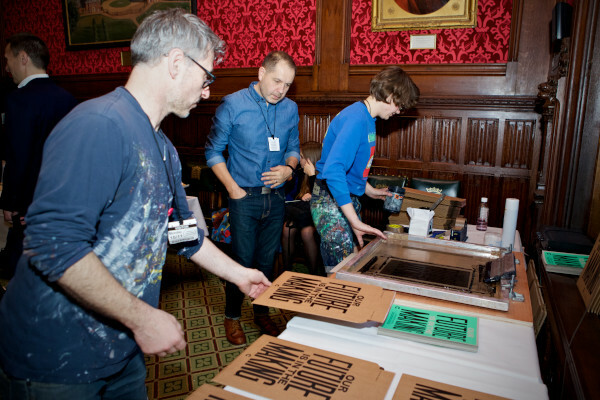 Anthony Burrill (centre) at the Eduation Manifesto launch at the House of Commons. Photo: Sophie Mutevelian. 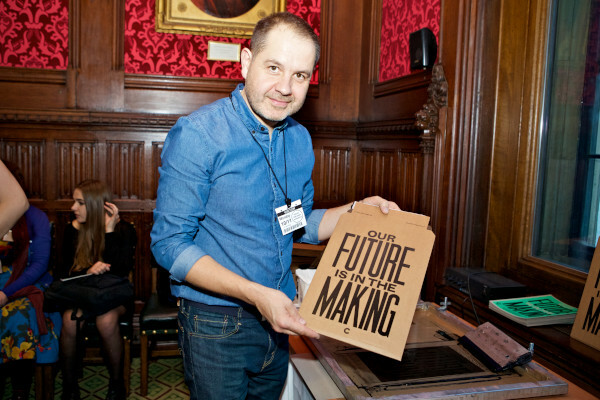 Anthony Burrill at the Eduation Manifesto launch at the House of Commons. Photo: Sophie Mutevelian. 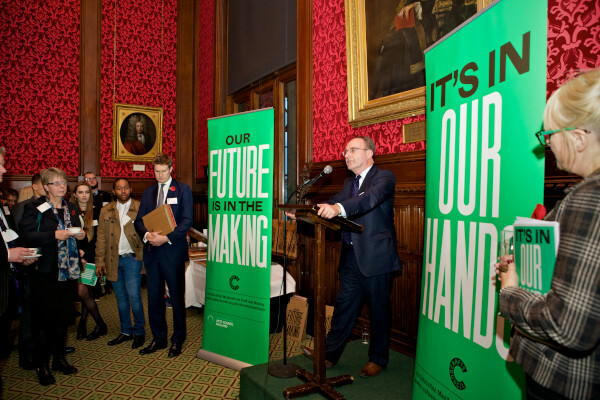 Education Manifesto launch at the House of Commons. Photo: Sophie Mutevelian. I was commissioned by the Crafts Council to make a typographic poster announcing the publication of their education manifest. I used bold typography to create an impactful and iconic poster. The main fours of the poster is a call to action, encouraging then return to craft and underling the importance of making work by hand in education. 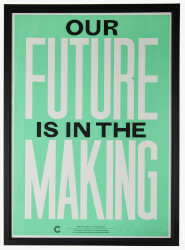 My practise focuses on analogue printing methods particularly letterpress and screen print.